- haven't we (deviled egg lovers) done this at one point in our lives? 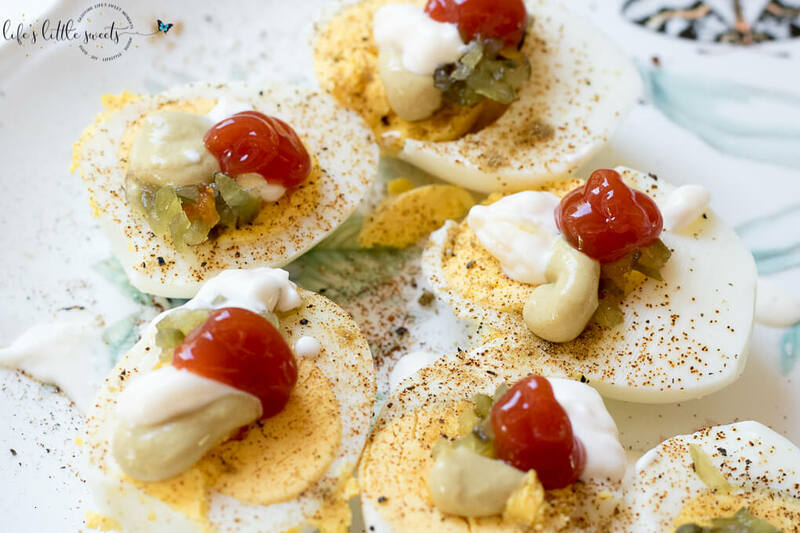 Hard boiled eggs and all the favorite toppings, like mustard, mayonnaise, relish, cumin, paprika, salt and pepper - go! Just do it already! In a large pot, bring salted water to a boil and add in eggs, bring to a boil again cover and remove from heat, let eggs sit in the hot water for 12 minutes. Removed and place in a bowl, refrigerate until chilled. When eggs are completely chilled, peel eggs and slice in half. Add your favorite toppings, like ketchup, sweet relish, mustard, paprika, cumin, salt and pepper, season to taste. Enjoy!